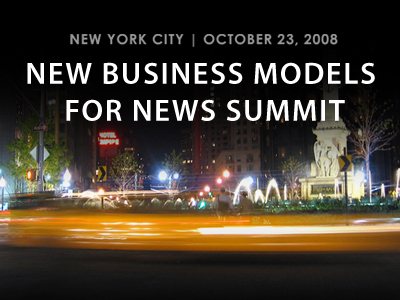 Below is a great collection (3h) of videos from New Business Models For News Summit 2008, held at University of New York’s Journalism School, organized by Jeff Jarvis. The three videos cover very interesting presentations and summaries from group discussions about network models for news and media, new structures for news organizations, new efficiencies and structures for newsrooms, new revenue opportunities and models, and public support of journalism. Thanks Peter! I'm looking forward to your comments on the videos.